Helping with asthmatic bronchitis symptoms and the role of proper pool water care and pool chemistry play in your health. 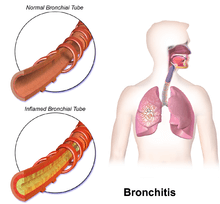 Asthmatic bronchitis is an inflammation in the lining of the bronchial tubes. When swelling occurs, the airway narrows and causes the person to cough and may make breathing more difficult. This kind of chronic bronchitis is an inflammatory problem in the bronchial tree of children and adults. This can be dangerous on many levels. Doctors often find it difficult to distinguish between bronchitis and asthma, especially in children, because people with acute asthma may also have these complaints and symptoms. They do know that children with chronic asthmatic bronchitis and other respiratory diseases have more severe and frequent asthma attacks. Doctors are not sure why some children with asthma develop chronic bronchitis. As an inflammatory process, it is made worse by allergens and other triggers. Obviously smoking in the car and house can be one cause, but there are also other environmental conditions that could contribute. This is where properly maintaining your pool comes in. Much has been written recently about asthma in children, chronic and acute, and other respiratory diseases. Many times the swimming pool, mainly the swimming pool chlorine, is blamed on these conditions. I want to give my two-cents in this debate. I believe that many of these asthma attacks and episodes can be attributed to poor indoor and outdoor air quality. When you enter an indoor public pool, you may get that nasty chlorine smell. This pool chlorine smell is actually the lack of chlorine in the pool, or the free available chlorine. When a swimmer's waste (sweat, urine, etc..) enters the swimming pool, the pool chlorine should kill this organic matter. The pool chlorine molecules bind with the organic matter, kills it, it's caught in the filter and then back-washed out of the system. The chlorine smell is known as chloramines, or Combined Chlorine. I highly recommend a good Taylor Reagent DPD K-2006 water testing kit to test for chloramines. Of course you will always want to see your health care professional. Tests can be run to determine the underlying cause of these symptoms. Make your pool safer today. Learn the proper way to maintain perfect pool chemistry. 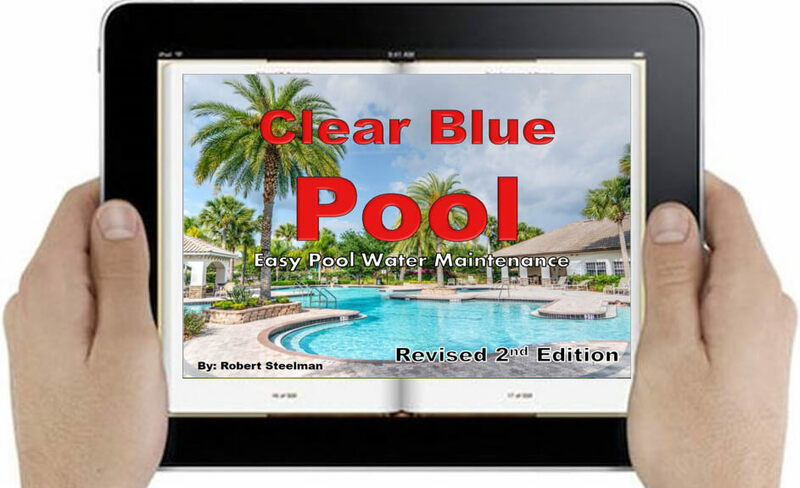 Clear Blue Pool eBook cuts through the confusion with this easy to understand digital guide to pool water maintenance. Available for computer and mobile devices. Click the button or HERE to get started. Only a doctor should diagnose allergic bronchitis which is based upon several factors and the results of tests. The doctor will probably ask for a medical history of the patient as well as perform a physical exam. Detailed questions will be asked to determine how long symptoms have been occurring. The doctor might have the patient get chest X-rays done to determine the cause of the bronchitis or some other causes of breathing problems. The test results will help the doctor determine the lung diseases such as asthma. Treatments for asthmatic bronchitis may require prescriptions from your doctor, but there are some things you can do at home to decrease your symptoms. Always check with your doctor first before heading out on your own. Using a humidifier can help moisten the air and loosen mucus. Drinking fluid can help loosen mucus making it easier to expel. Cough drops can help keep your moth and throat moist and can provide relief from coughing. Reduce or eliminate the use of public pools. This is especially true for indoor pools. Many public pools don't have the proper ventilation and fresh air for chloramine removal. Chloramines (combined chlorine/CC) are the little buggers that get in your airway, eyes, and nose. When it does you'll get that itchy and burning feeling, not to mention the pool chlorine smell that will seem to last for days. I believe this is the cause of many pool chlorine allergic reactions, which can worsen chronic childhood asthma. This is how swimming pool problems, bad pool water chemistry, and poor pool maintenance can contribute to chronic and acute asthma in children. In the 4 years that I was the pool operator at the YMCA, we never had one documented case of acute or chronic asthmatic bronchitis or asthma attack brought on by poor swimming pool care or bad pool water testing. We tested the Hot Tub every hour and the swimming pool every four hours, taking a complete test of chlorine, chloramines, pH, total alkalinity, and calcium hardness each morning and night.